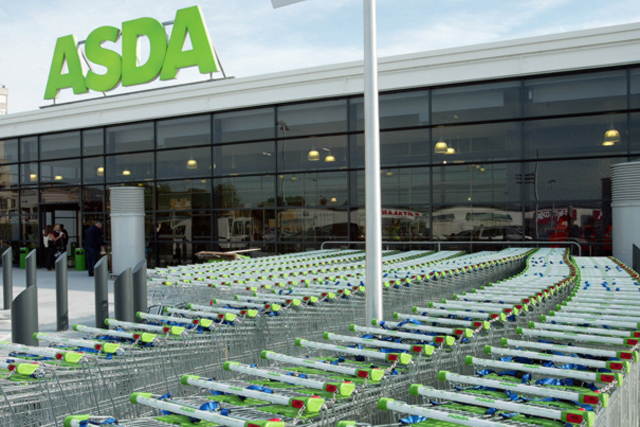 Asda has won a round in the supermarkets' ongoing price-focused advertising battle, with one of its ads cleared by the ad watchdog after a Sainsbury's complaint while an ad by Tesco mistakenly challenging Asda's price claims was banned. The first ad, for Asda and created by Saatchi & Saatchi, launched the second phase of Asda's price match promise and aired on TV in January. In the ad, a voiceover said: "We now guarantee that your comparable grocery shopping will be at least 10% cheaper than the other big supermarkets or we’ll give you the difference ... About half of your weekly grocery shop is comparable with the other big supermarkets and all of that is covered by the Asda price guarantee." On-screen text declared that the offer compared prices with Tesco, Morrisons, Sainsbury’s and Waitrose, with price checking conducted by mySupermarket.co.uk. Sainsbury's objected to the ad, contending the price guarantee excluded a number of "everyday" products. The ASA cleared the ad because it included the phrase "About half your weekly grocery shop is comparable with the other big supermarkets and all of that is covered by the Asda price guarantee", which it said covered possible discrepacies between supermarkets. In response to the above ad, Tesco ran a print campaign with comparable items shown where Tesco was cheaper and the words: "Total Tesco Saving £4.91". Copy went on: "One place you won't find your fresh food for the weekend? In the Asda Price Guarantee." Asda objected to the ad claiming 13 of the 20 fresh food products listed were in fact included in the price guarantee. Tesco admitted the ad ran as a result an "internal communication error", and while the price comparisons were accurate, the creative team had understood - incorrectly - that the products were not included in Asda's comparison scheme. Because of Tesco's admission, and because it could not in any way substantiate the claims made in the ad, the ASA ruled it breached CAP Code (Edition 12) rules 3.1 and 3.3 (Misleading advertising), 3.7 (Substantiation), 3.33 and 3.34 (Comparisons with identifiable competitors) and 3.39 (Price comparisons) and should not be run in the same form. Asda's previous campaign had fallen foul of the ASA, with several ads banned for not explicitly showing that some non-grocery items were excluded from comparisons.